Welcome to the Soap App. 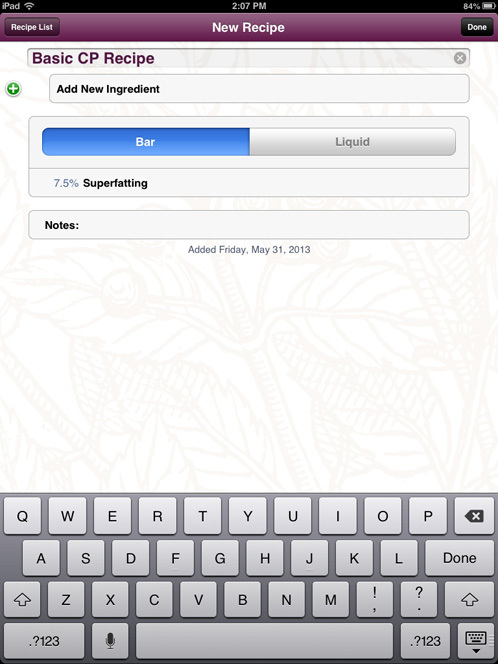 This new and improved app makes your cold process and liquid soap recipes accessible, and gives you the ability to add new ones, take photos of batches and keep up with the cure date on your batches. To start, click on the ‘Recipe List’ button in the upper left hand corner. When you click on the ‘Recipe List’ button, it will bring up a side menu of all the recipes you’ve ever entered into your app. When you install the app, there won’t be much. To help you out, I’ve actually included three of my favorite cold process recipes you can find here. 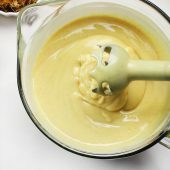 To create a new recipe click on the ‘+’ button. 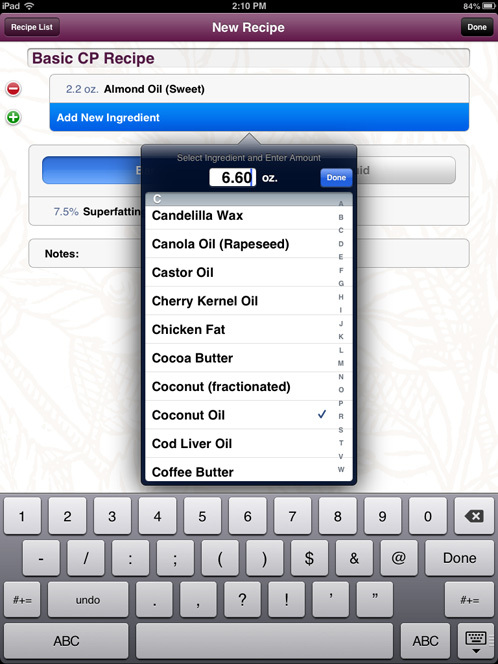 Clicking on the ‘+’ button will bring up a new recipe sheet where you can name your creation, change the superfat level and input your ingredients. 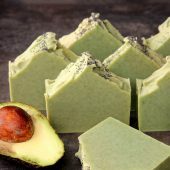 With this app you have the ability to calculate the amount of lye and water you’ll need for your cold process soap recipes, as well as liquid soap recipes. 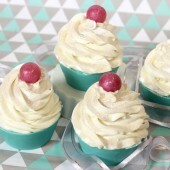 For the sake of this tutorial, let’s use the basic cold process recipe from this blog post. We’ll call it the ‘Basic CP Recipe’. Before you go any further, make sure the tab that reads ‘bar’ is highlighted blue. 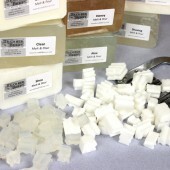 This is important because we’re making cold process soap, not liquid soap. 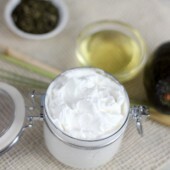 To add a new ingredient, click the button that says ‘Add New Ingredient’ at the top of the page. 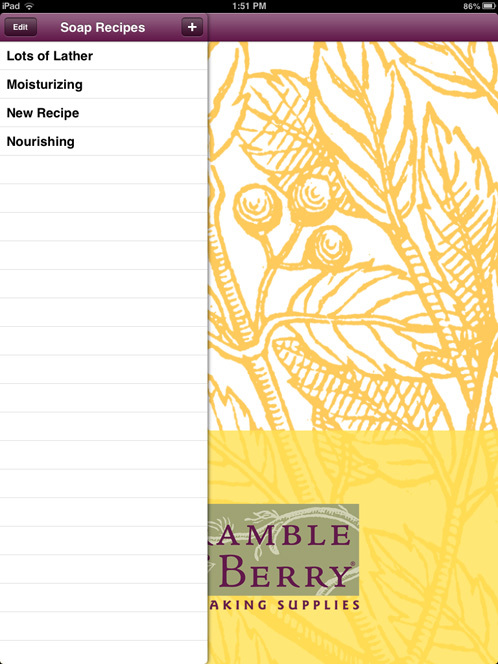 A list of all the ingredients in Bramble Berry’s online lye calculator will appear. 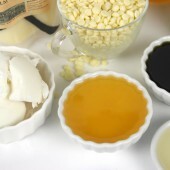 Find the first ingredient you want to add to your soap. In my recipe, it’s the Sweet Almond Oil. 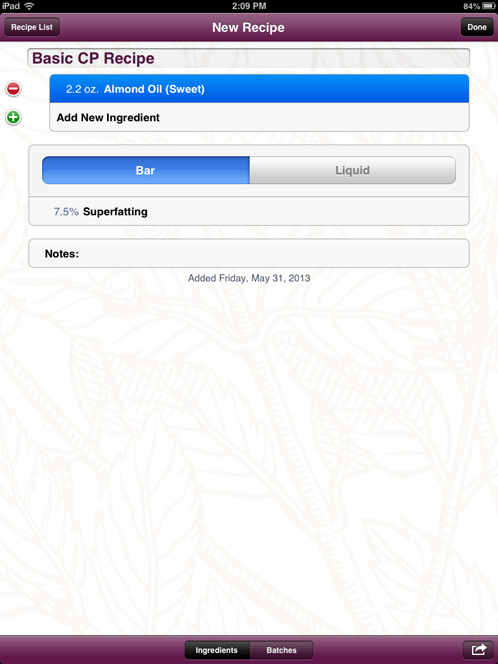 Once you’ve selected the ingredient, add the amount (2.20 oz) and click the ‘Done’ button. 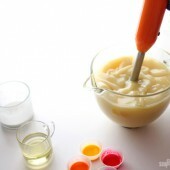 Take note when adding ingredients to your recipe that there is a check mark next to the ingredient you’re adding. 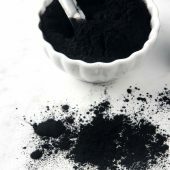 If you don’t click on an ingredient before you click the ‘done’ button, the lye calculator will not calculate the correct amount of lye and water for your recipe. 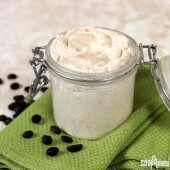 To add the next ingredient in this recipe, select the Coconut Oil and enter in 6.6 oz. 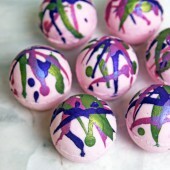 We’re almost done entering our recipe — only two more ingredients! 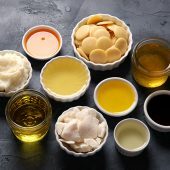 Add 6.6 oz of the Olive Oil (be sure take note that there are two different types of Olive Oil listed on this calculator, the Olive Oil Pomace and the Olive Oil Pure). 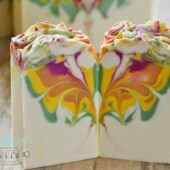 In this case we are using the Olive Oil (Pure), which allows you more time to make fun swirls and designs. 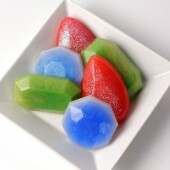 The last ingredient to input into is 6.6 oz of the Palm Oil. While in the editing screen, if you need to change any of the ingredients or if you added one on accident, click the little red circles on the left hand side of the screen to remove it. 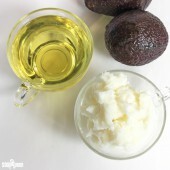 The next step is to change your superfat level. 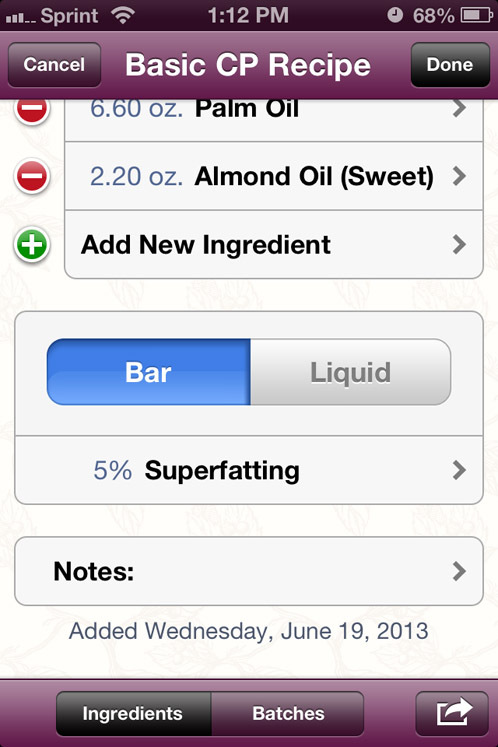 The default superfat in the app is 7.5%, so be sure to change it to the amount you want. 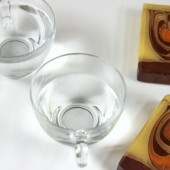 Most people superfat anywhere from 2% – 10% in their soaps, but for the sake of this tutorial, let’s use 5%. 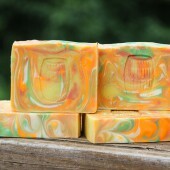 For more on superfatting soap, check out this blog post. You’re now done inputting your recipe (woo-hoo)! Make sure everything on your recipe is complete and click the ‘Done’ button in the upper right hand corner. If you have forgotten something or need to edit your recipe, you can click the ‘edit’ button to make any changes. 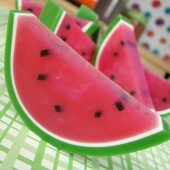 Did you know that you can now print and e-mail these recipes? 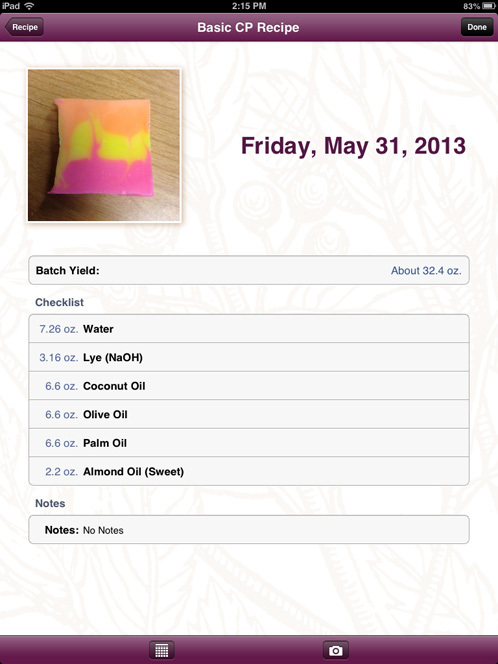 In the bottom right-hand corner of the app, there is a small arrow you can click to print from your device or e-mail the recipe to share it with your soapmaking friends! 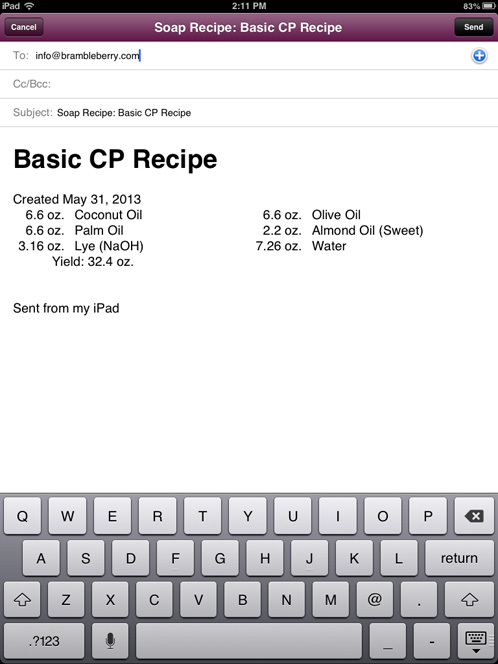 Tap the arrow in the lower right hand corner of the screen and click the ‘Email Recipe’ button. 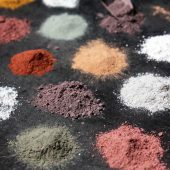 Once you’ve done this, it will input the entire recipe into an email (including date, yield, any notes you may have made and the ingredients). This will bring you to a screen that sets a new batch reminder. 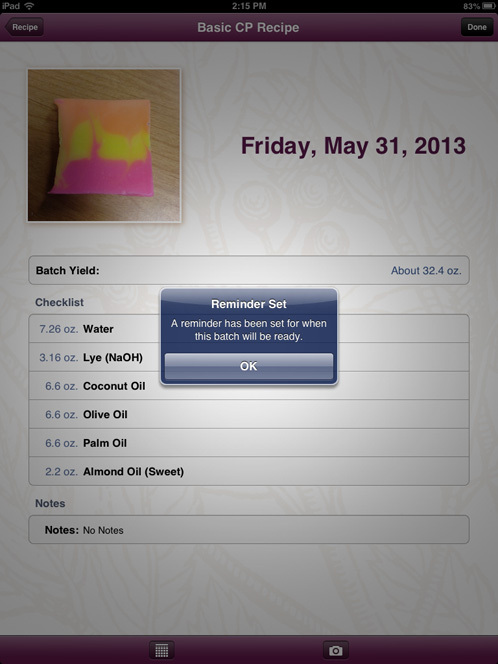 This reminder will list your entire recipe and any notes you’ve made. 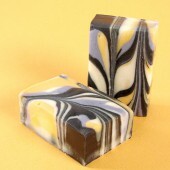 You can even use your device’s camera to add a photo of the finished soap. 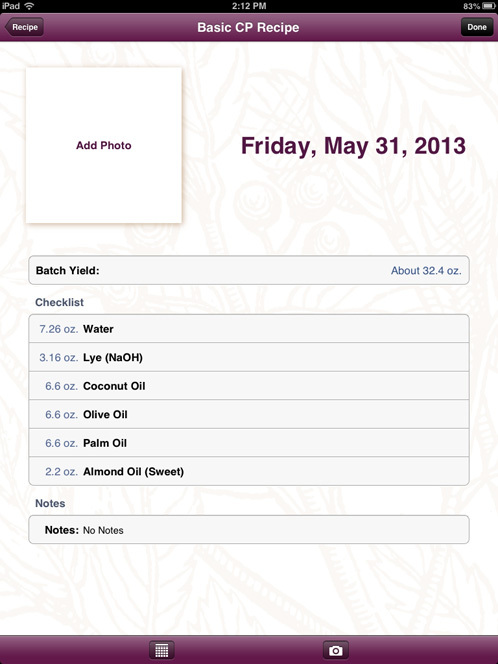 This is a great way to keep track of each recipe you’ve made without keeping track of paper notes. 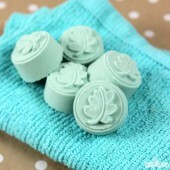 To input a photo of your soap, click the ‘Add Photo’ box. 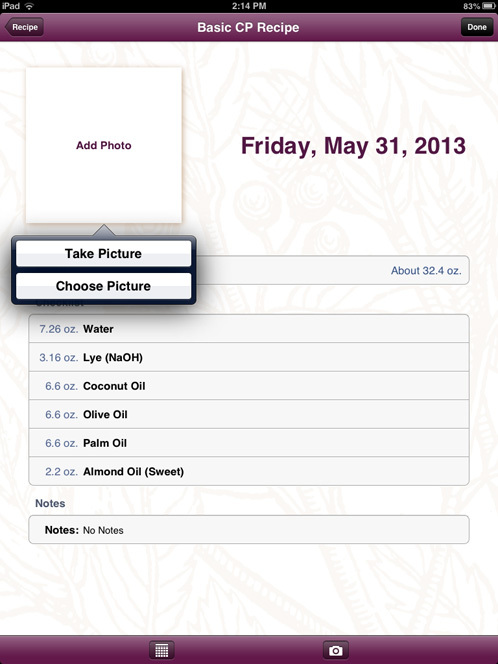 Two options will appear: ‘Take Picture’ and ‘Add Picture’. 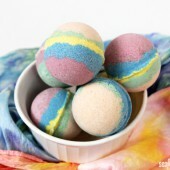 If you’ve already taken a picture of your soap, you can retrieve it from your camera roll and upload it to your recipe. For the sake of instruction, let’s take a new photo and upload it. 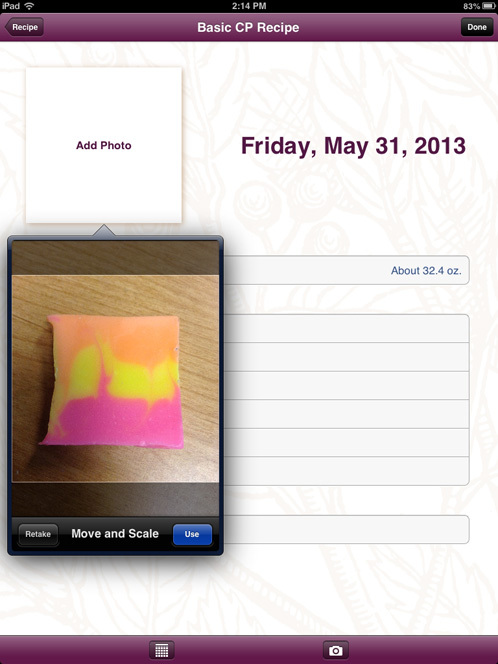 Go ahead and click the ‘Take Picture’ option; it’s as easy as 1, 2, 3…soap! If you’re unhappy with the picture you can always retake it, but let’s go with the first picture. Be creative with your pictures and try taking some new angles, different lighting and various setups. 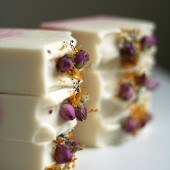 For tips on photographing your products, check out this guest post on the Soap Queen blog. Once you’ve taken the picture, move and scale it in the photo box until it’s perfect. Then, click the ‘Use’ button. You’re almost done! 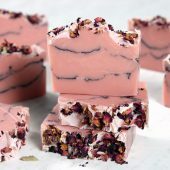 Make sure you have added any notes about your batch (like fragrance information, color, temperature, any alternative liquids etc…) and confirm that you have taken a picture of your soap. Once you’ve double-checked and confirmed this, you can go ahead and push the ‘Done’ button in the upper right hand corner of the screen. 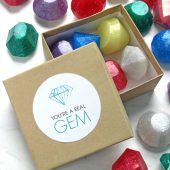 As soon as you’ve clicked on the ‘Done’ button, a handy little reminder box will pop up on your screen letting you know that a reminder has been set on your device to notify you when it has finished curing. 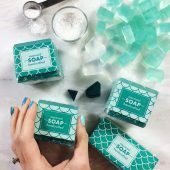 No more having to remember when you made the soap — this app will do it for you! 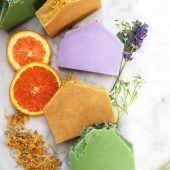 If you want to look at all the different batches of the ‘Basic CP Soap‘ (or another recipe you input into the Soap App), you can access them by clicking on the ‘Batches’ button at the bottom of the screen. 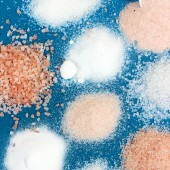 This will bring you to a page that will list all the batches of a particular recipe. 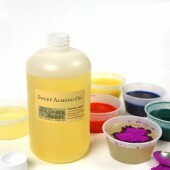 You can even leave notes about how the recipe performed and the colorants and fragrances you used. 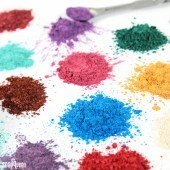 Do you wish you could add notes to your recipe about how it turned out or what colors or scents you used? Now you can! 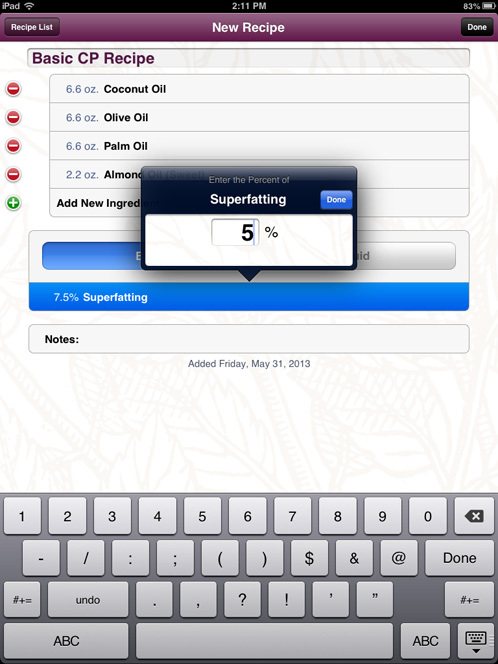 To add any notes to your recipe, click the ‘Edit’ button in the upper right hand corner of the screen. 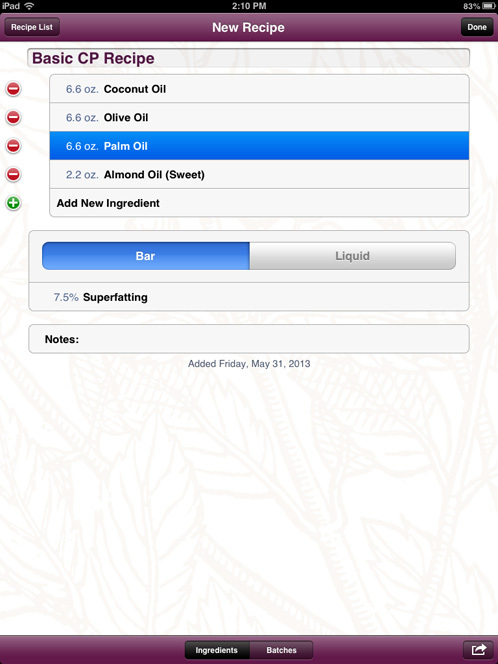 Once you’ve clicked that button, you can edit your recipe as well as adding any notes about your particular soap recipe. 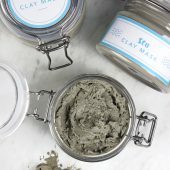 Did you use Lemongrass or Lemongrass Sage in your batch? Did you have any notes about how it turned out? 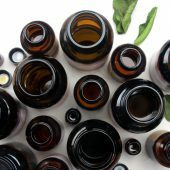 Did you use an alternative liquid (like beer or goatsmilk)? 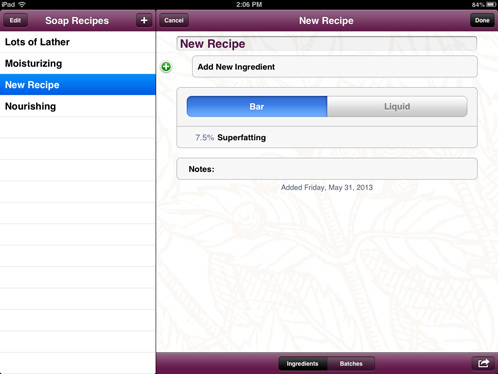 Now you can add any extra information, along with your recipe, all in one place! 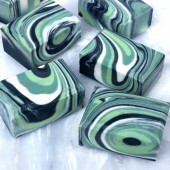 Click on the ‘Notes’ (right above the date) section to add any information you would like about your soap. 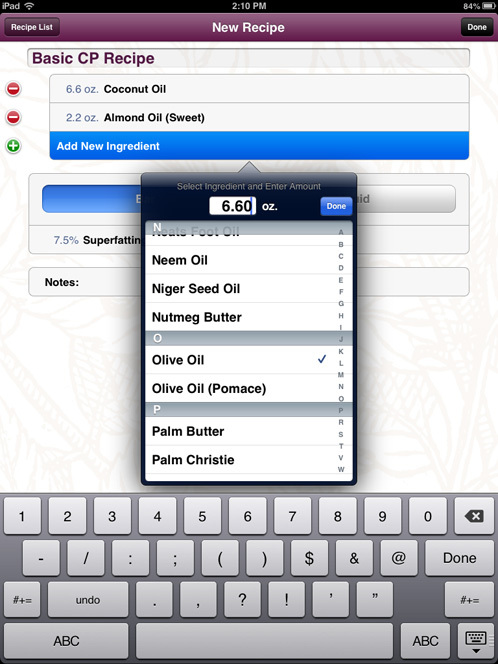 Using your device’s keyboard, you can information about the characteristics of the recipe. 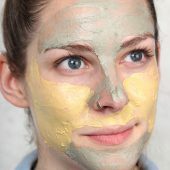 Is it super skin-loving? Write it down! 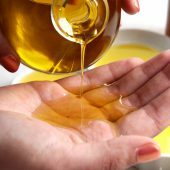 Did the fragrance oil accelerate trace? Make a note of it! 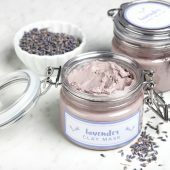 This is a great tool for any notes you made while soaping. Feel free to make it as detailed as possible as there aren’t any character limits. Once you have finished making your notes, click the ‘Done’ button in the upper right hand corner of the screen, and it will bring you back to the editing screen. If there isn’t anything else you’d like to change, click the ‘Done’ button again and you are finished! And there you have it. 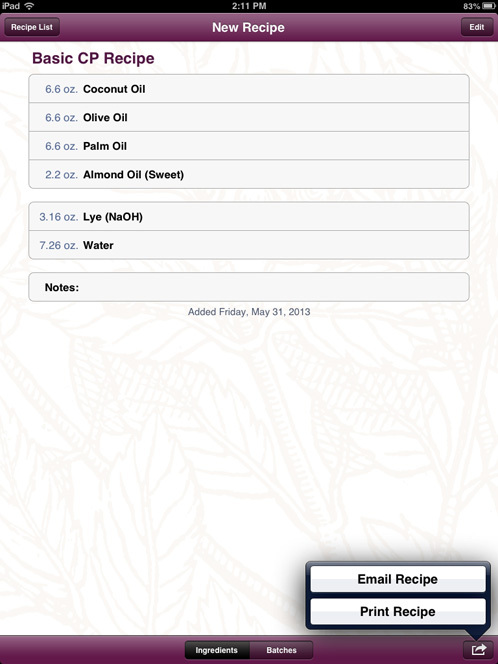 An easy, no-stress way to keep track of any of your cold process or liquid soap recipes and calculate lye and water amounts for your soap recipes on the fly. 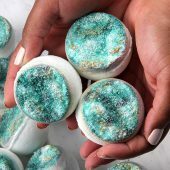 You just learned how to use your mobile device to soap on the go. No more sitting down at the computer to input your recipes — now you the power in the palm of your hand. If you are not a customer who uses US measurements, you can actually take a look at the Yes, It Has Metric blog post to learn how to change your measurement settings. 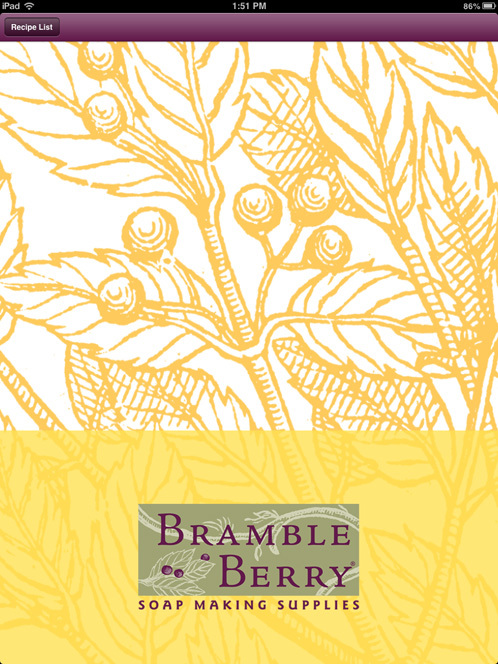 If you’ve used the Bramble Berry Soap App, we’d love to hear from you! 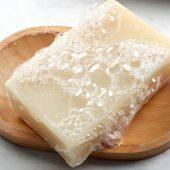 What do you like about it and how has it changed your soaping? 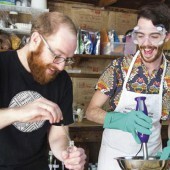 Can you no longer backdate a batch? I just got the app and wanted to input a batch I made back in April, since it will be informing my recipes for the near future. I have read that you can backdate batches, but I can’t find anything that will let me do so. Was that only possible in previous versions? Does the app work with percentages yet? 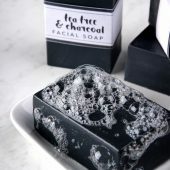 I just got the Soap app, Is there anyway I can change the amount of water/liquid on the app? This is the calculator I usually use, it gives me a choice of 25/30/35% of water. Hi, I’ve just downloaded the app and love to use it but I work with grams not oz, is there anyway of changing the unit? Hey guys, awesome app but one thing that seems to frustrate me.. the email function does not seem to work at all.. I have followed the instructions for pulling up the email function, entered in my email and hit send and they just never show up. Is there something happening or am I doing something wrong? Any insight would be awesome! Love the app otherwise. Oh no! I’d love to help you figure this out. Did you type your email in correctly? Love the app. Here are some suggestions for the next version. 7. 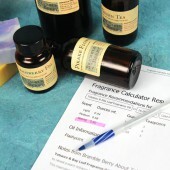 MOST IMPORTANT- add your fragrance calculator, with at a glance vanilla content warning. 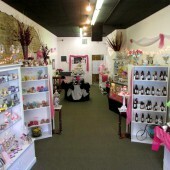 I love that BRAMBLEBERRY is a one stop shop for all my soap making questions, comments, concerns, and complaints!!!! Will this app download to Kindle Fire HD? And work on the kindle? Thanks. This app does not work on Kindle Fire HD. Sorry about that! I am looking forward for a Kindle fire HdX verson as well. 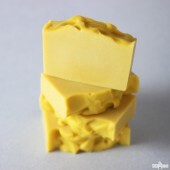 I just download the soap2 app. , after I done all the batches as instructed. There is no top row bar which show RECIPE icon and the DONE icon on my Samsung 2. -it seem to save automatically when I trace back. Oh no, I’m sorry the app is giving you some trouble! I would make sure your phone is up to date, just to be sure. You may also want to try deleting the app, then re-installing it. This is a new problem I have not heard of. If these little things don’t work, let me know! When will the android app allow us to upload a photo as well as schedule when a batch is ready? Thanks. It will indeed :). I hope you enjoy it! 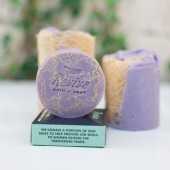 Why does it tell me that soap will not be ready until August 24, 2012? Why does it crash when you hit the + button on the left hand side? I have the latest software and the program still appears to crash after I have put in an extensive note. What kind of device are you using? I would be happy to help you troubleshoot why you are experiencing these problems! Mine too says it will be ready in august of 2012. I am using an iPhone. Just purchased the app today. How funny you should write this comment. Anne-Marie was just having this issue yesterday with the app. Here is what she did and it resolved the issue. She upgraded to the newest phone software and it seemed to work out for her. 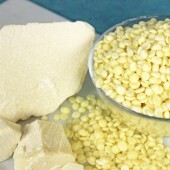 Hi, I just downloaded the app, and although I was able to change the measurements to grams and can enter my amounts in grams, the final recipes are shown in ounces. Also, I can’t seem to figure out how to delete recipes. I have about 5 recipes all called “new recipe” that are just unsaved attempts that have automatically saved. Any advice? Are there plans to make the app available in the Amazon app store? If I buy the app in Google Play store, I can’t use it on my Kindle Fire, but if I buy it from Amazon, I can use it on both my cell phone and my Kindle. Right now, we’re just in the Android Marketplace and iTunes store but I’ll see if we can put our Android app in the Amazon app store. Thanks for the heads up! Each time I edit the batch yield value, it screws up all the numbers. Eg currently the formulation is set up to yield 1.4kg When I change this to 3.6 kg and click on done, the yield figures jumps to ‘102g’ I assume this is a bug? We are so excited that you’ve been able download the app and will definitely help you troubleshoot what is going on. How long have you had the app? Our developer actually sent out an update several weeks ago and we want to make sure that you have the most updated version! Ok so I am new to this APP stuff. Is the price of this 1.99 or is it 1.99 per month? Thank you. I have issues with the batch date as well, It would be nice if I was able to select it. That way if I forget to enter it the day I make the batch I can go back. I LOVE this app.. However, I use my Ipad to refer back to recipes and sometimes I like to use my Iphone.. There’s no way to refer to batches that I have on my Iphone in my Ipad and visa Versa…It would be nice to not have to enter the same info. Plus, When I start a new batch, it takes the date I open it on, instead of allowing me to back date previous batches.. Is there a trick to that? 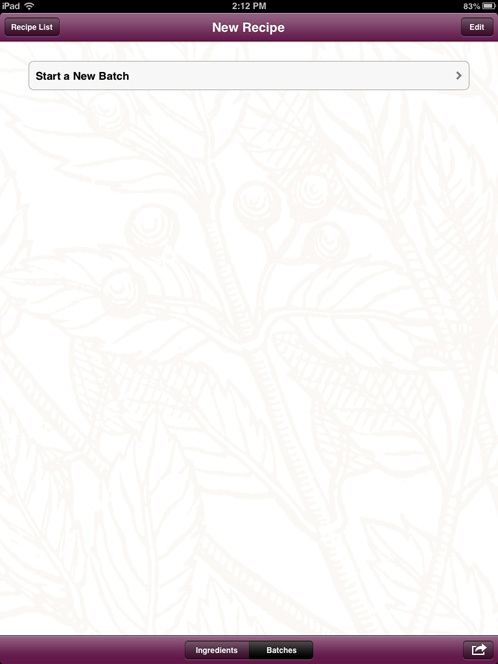 Have just installed the android version and it’s very easy to use but I don’t have full functionality. 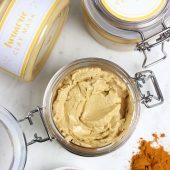 I don’t have the ingredients/batch option and I can’t take a photo. Works fab as a lye calculator but will still have to use my calendar until you can update it for android… ! I absolutely adore the calendar on this app and have gotten rid of all those scraps of paper I had everywhere. Having it all in one place is so nice! 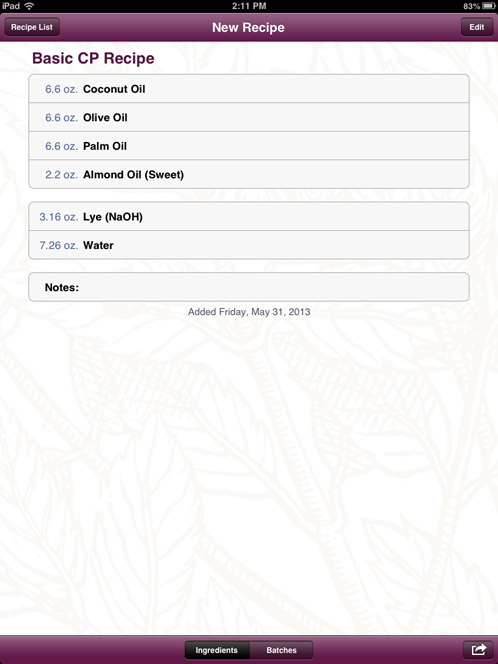 Currently, it gives you the exact amount of distilled water (or alternative liquid) and lye that you need for your recipe, but you can always use the notes feature to write down any water discounts that you make. 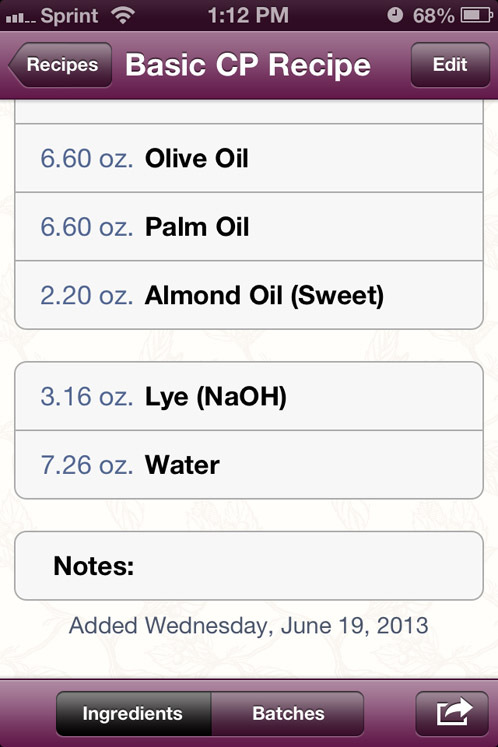 Hi I usually like to input percents of the oils I am using,can that be done on this app? Thanks! just got the app will try it later today. It’s taken me a bit to figure this app out, but I think I’ve got it down. So, so happy to find out it will do grams! I love being able to get a photo with each batch! Great, great app. Thanks! , I m even ready to pay for the app. Looks like an awesome app and would really like to use it. Will you be submitting the app to Android? Thanks, will try it out. Looks awesome! Seriously thinking of getting this. Would really like for it to update between iPad and iPhone. LOVE the app but please please make it work in grams!! Is there a version of the ap for Black Berry? Happy 4th to all…love the new app, it does just about everything you want it to do. I am having trouble getting the “Reminder” to pop up, everything else seems to be working. Am I doing something wrong? 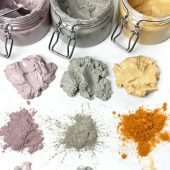 I’ve tried it several times, started new batches, etc. Can’t make it work. Please help. Thank you for an awesome app! Never mind!! I figured it out- I had to click at the bottom to get it to work, the tutorial made it sound like it would pop up automatically so when it didn’t, I didn’t think to click on anything. 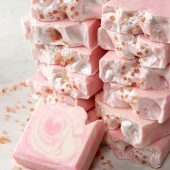 thank you– happy soaping! Happy 4th everyone. 🙂 I have been using your app for a while and love it and this new update is great!!!!! 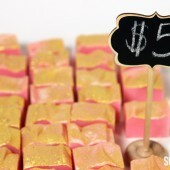 I especially love being able to make separate batches with photo attached. Thanks again for this awesome app. This is great. 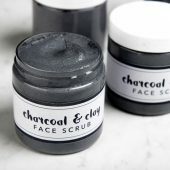 One question – can this be used for making other things, like whipped soap or M&P? 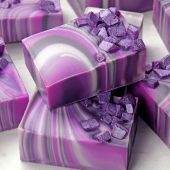 I’d like to be able to import my own fragrance blend recipes and color mixes, take a pic of the soap I made and have all that info there so I can replicate it easily next time. Or is this only for CP? Love the app though so when I start making CP this will definitely be in my arsenal! 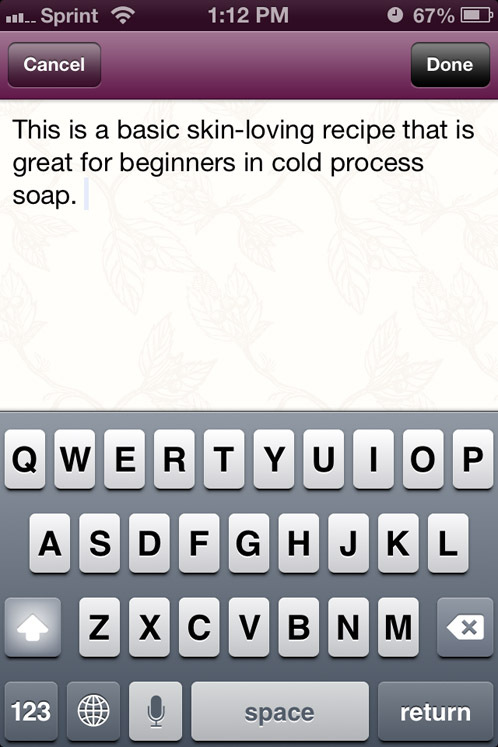 This current Soap App is only for Liquid Soap and Cold Process recipes. We’d love to expand it though, and your feedback will really help when we do. Thank you you for your comments! I LOVE the APP and can’t wait for the soap calculator update! 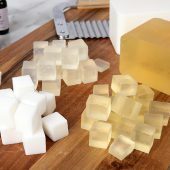 I made 3 batches of soap yesterday – and totally messed up the 2nd batch — but I was able to input the receipe exactly as I modified it, renamed it “Botched Soothing Recipe” as not to confuse it with the original recipe! 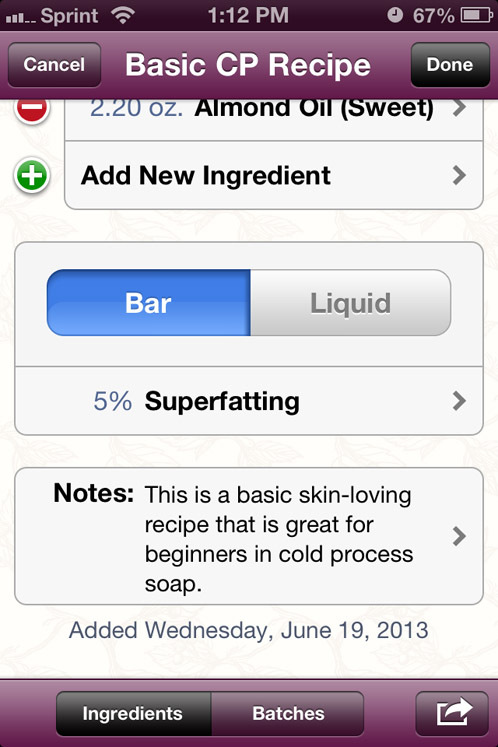 The one thing I would LOVE is to be able to transfer the recipe from the soap calculator FROM the website to the APP. That would save me the trouble of having to retype in the recipe! Every time I click Start a New Batch, the app crashes…every time. Is anyone else having this problem? Any suggestions? Thanks. Wonderful app, but the “start a new batch” button to keep track of the current batch is confusing to me. Start a new barch sounds loke you are beginning another one instead. ( i am still on my first cup of coffee this morning. Love the updates to the app! Just wish is did grams as well! My recipes are usually too small for ounces to be accurate enough! Hi there. I see here that your calculator does measure in grams. I went through the process to change from Oz to Grams as per the instructions (settings-applications-Soap, but I can’t see where you have an option. 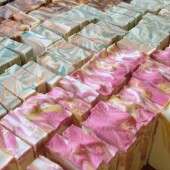 I’m using a Nexus tablet and I have the Soap v1.0 app. Is there an updated version or m I doing something wrong? Many thanks! Please could you explain how to change the units from oz to grams? Can’t see it in the tutorial and can’t seem to work it out myself from the app – thanks! 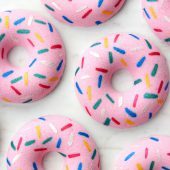 Can the app resize a recipe? That would be very helpful too. The description in the App Store says it does resize recipes. I really look forward to using the app…just purchased it. 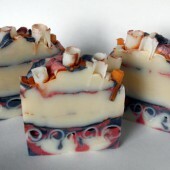 I like that I can add pictures of the soap too. I have the app, and it’s great, but I measure in grams, not ounces. If I put anything with a zero in it past 2 digits, it erases the zero. Example: 720 g becomes 72 g upon completion. I add an extra gram just to keep it in triple digits. This happens with the lye as well. 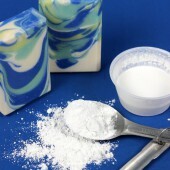 For a 1440 g batch of soap, I doubt I only need 25 grams of lye, but that’s what has been displayed. Is there anything I can do to make this stop happening? I really, really, really like the app otherwise. i’m also having this same issue, i enter 750g and it only displays 75g, the weight of the lye was calculated and displayed correctly for my recipe but the water required was only displaying 66g for a recipe with 2000g of oils! I am so sorry that the app is giving you a bit of frustration! I tried replicating this issue and I couldn’t get it to happen on my version of the app. 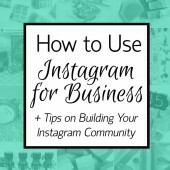 Would you mind sharing the recipe that you are trying to input so that I can check this out? Thank you! Excellent, thank you,mwill look forward to it! Was the android app also updated? Wasn’t sure as the android tutorial is considerably condensed. Thanks! I did have application but the old version. if I would like to get one like this I need to download again? Hi Wansada, You don’t have to purchase it again, just update the app (usually by going into the app store on your phone) and you will have this version. Have fun! Wow. I’m definitely going to download this. Fantastic idea, Brambleberry!